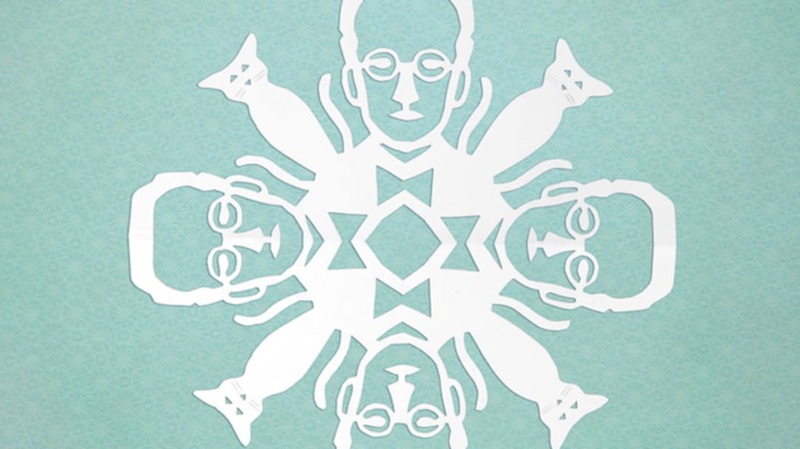 These aren't the only delightfully nerdy paper snowflakes. There are tons of other nerdy pop culture options out there, including these excellent Star Wars snowflakes created by Anthony Herrera (see 2012's set here, and 2013's here); this creepily-festive zombie flake by Buz Carter; the Game of Thrones houses as snowflakes by Krystal Higgins; and these superhero snowflakes. Make Cut-Out Snowflakes Day is December 27, so get to planning!